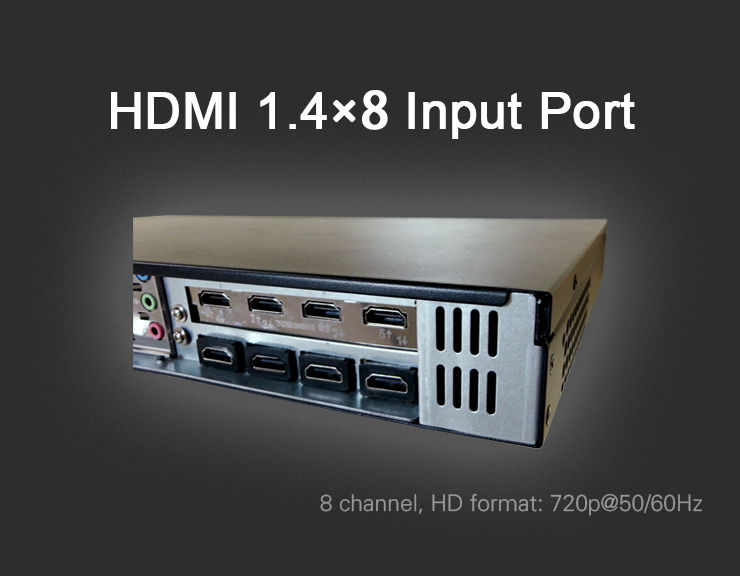 The encoder is mounted in an 1U chassis which realized 8 channel HDMI capture, real-time HD encoding, RTMP/UDP/RTP publishing. 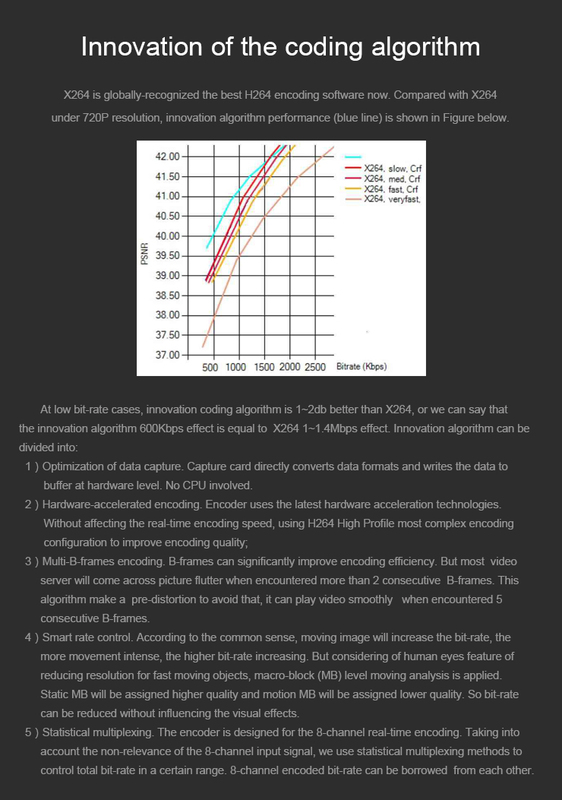 Comparing with the present encoder, new encoder's encoding efficiency is 50% up. 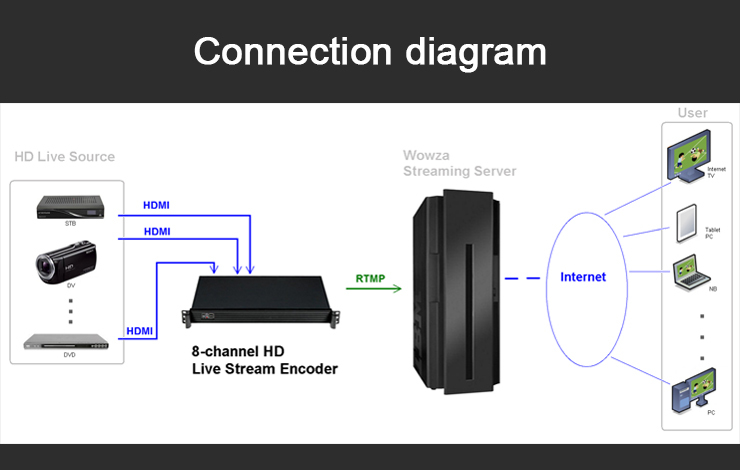 With highly integrated hardware and software, the equipment is convenience for customers to push RTMP/UDP/RTP streams into stream server. 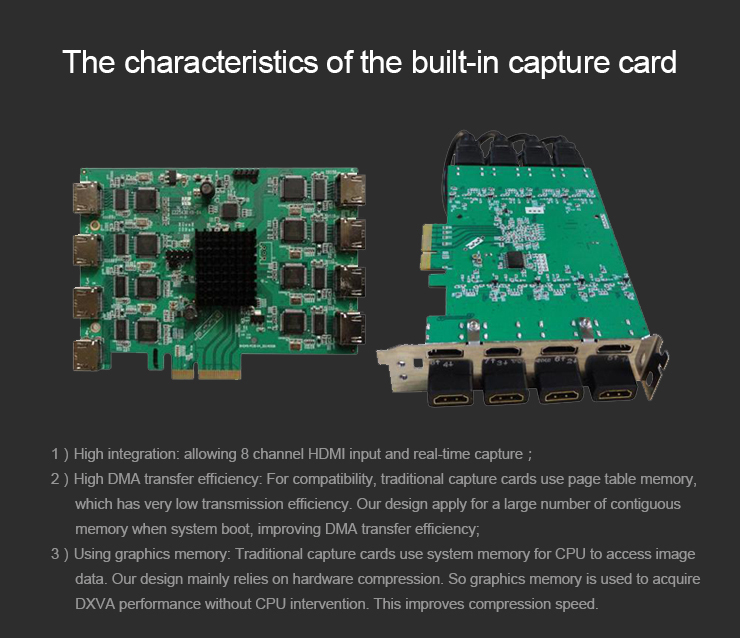 The product will greatly save the network traffic, electricity and space utilization rate, improve the live operator front-end equipment reliability, reduce operating costs and entry barriers. 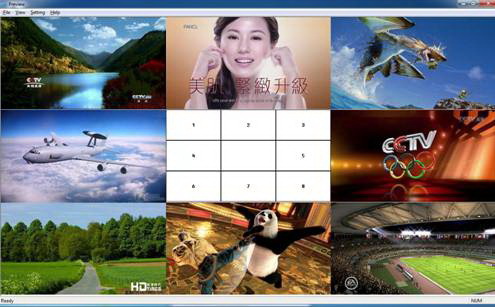 This software is mainly used for show eight input video signal. 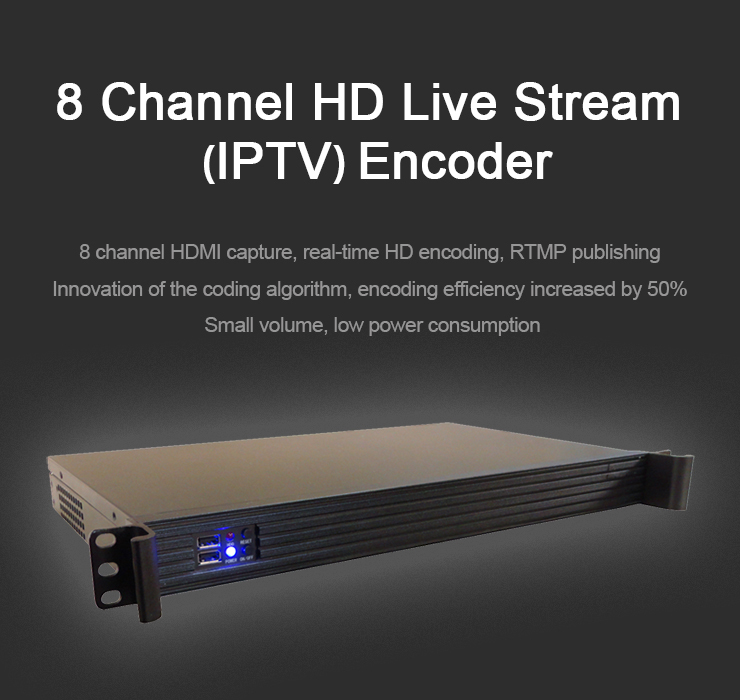 This software is used to set the encoder and push real-time stream. 1) Click on the Channel drop-down list, choose a channel number (1,2, ..., or 8). 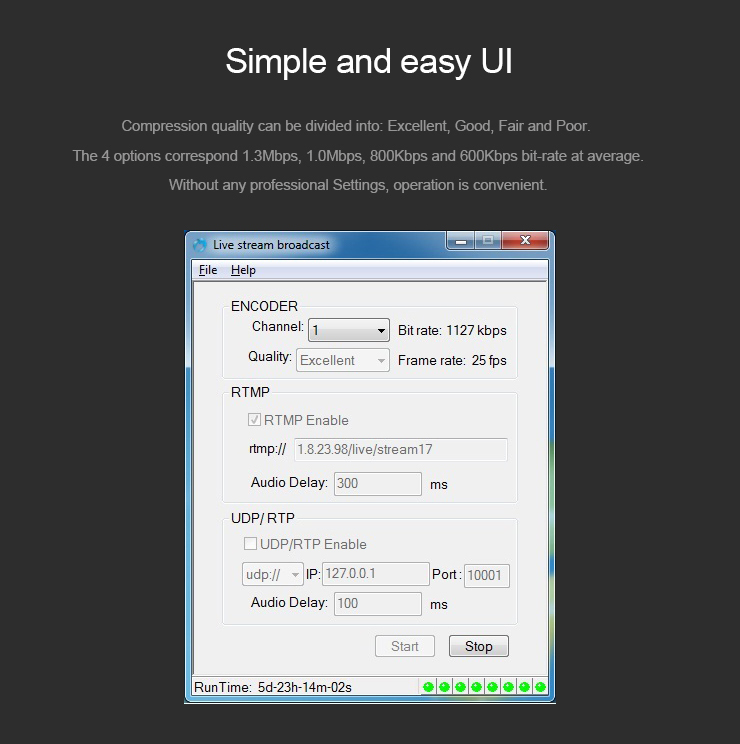 2) Click on the Quality drop-down list, choose a encoding quality (Excellent, Good, Fair or Poor). 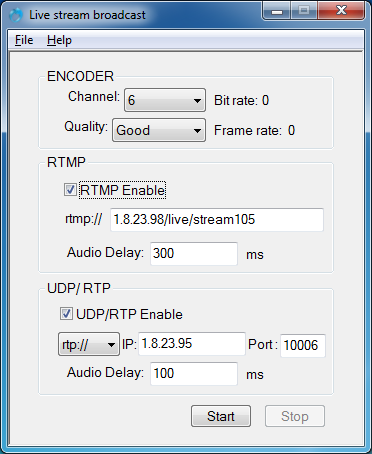 3) Enter the stream server address and Audio Delay (0~8000 ms) if RTMP enabled. 4) Enter the stream server address, Port (1024~65535) and Audio Delay (0~8000 ms) if UDP/RTP enabled. 5) Choose RTP or UDP protocol if UDP/RTP enabled. 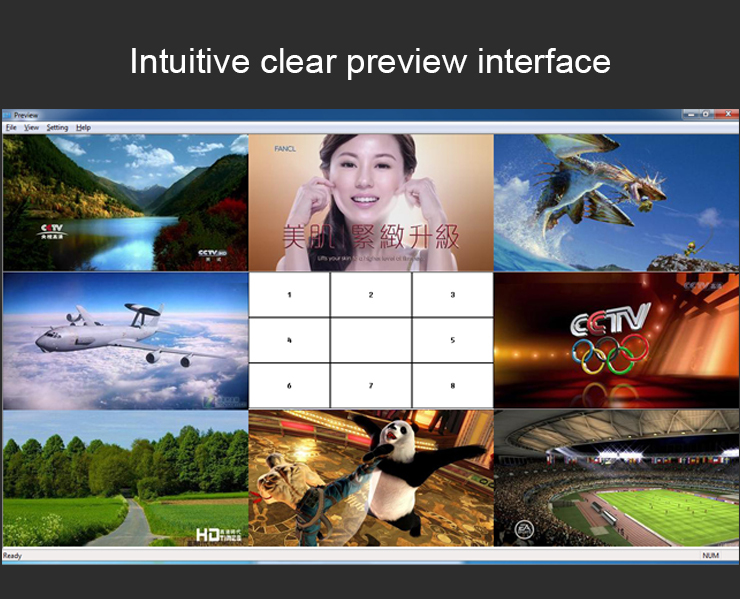 6) Click on the Start button, the application will begin to push the stream. Watching live stream, please mail to support@Tongshi.com. After getting live stream URL, paste it into VLC net stream to watch.